Matthew 16:26 (ESV) For what will it profit a man if he gains the whole world and forfeits his soul? Or what shall a man give in return for his soul? Imagine a child with a tight grip on small objects that could harm him. The child’s father says, “Give me that, open your hand.” Yet the child refuses because he fears he is going to lose what he found. He becomes consumed with the idea that his Father wants to take what belongs to him. He becomes rebellious and disobedient. His father repeats, “Give me that, open your hand.” Finally, the child opens his hand and his father scoops the small dangerous objects out and replaces it with a sweet treat. During your life, it is important to give God all of you. Perhaps you are like the little child and you have been holding on to fleshly desires so long that you do not want to let them go. Or maybe you feel like you are losing a lot as a Christian. I want to encourage you that when you give things up for Christ you are not losing anything. When God says, “Give me that, open your hand”, He sees the dangers that are lurking ahead and wants to help you avoid them. He knows that if you let go of the small insignificant worldly things (failed relationships, unfulfilling jobs, material things, etc.) He can bless you with the meaningful spiritual things that will fill your soul. What will it profit YOU if you gain the whole world and lose your soul? Do not maintain a tight grip on the things and people that will cause you to lose your spiritual fortune in Christ. Let go and receive the fullness of God. Greater things await if you just open your hands and give it to God. 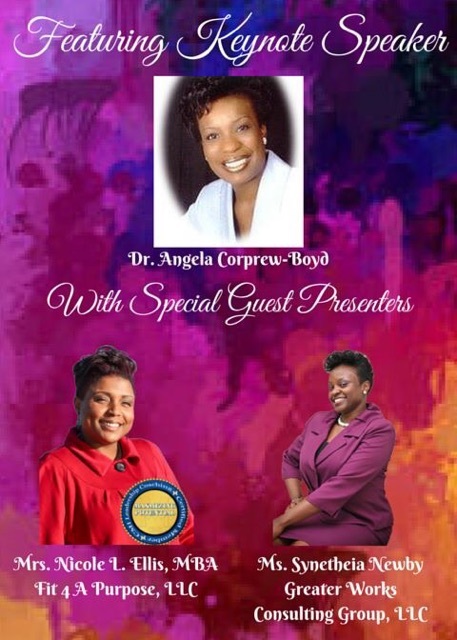 Speakers: Dr. Angela Corprew-Boyd, Ms. Synetheia Newby and myself (Nicole Ellis). 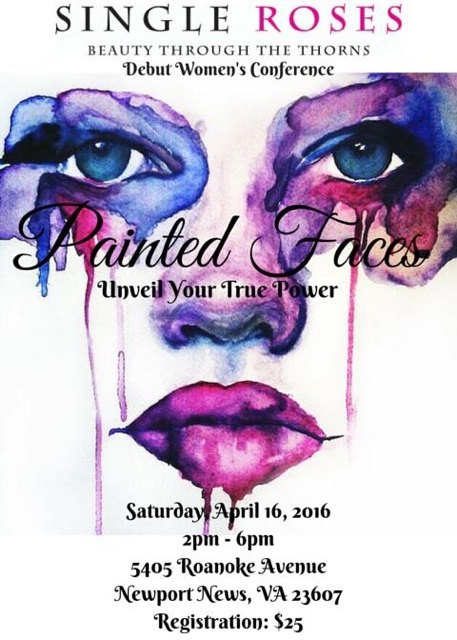 The conference is April 16, 2016 from 2:00p.m.-6:00p.m. If you are in the Hampton Roads areas, you definitely want to be in the building. This will be a great gift to any woman you know. Spread the word! Think of the mother whose child is acting unruly in public and she gives her child a stern look and instantly they behave. Or perhaps you can imagine the supervisor who walks into the office meeting that was out-of-control and miraculously the “climate” of the room changes. Sometimes the mere presence of authority can shift things. However, there are instances in our life that require MORE. Have you ever felt like you had everything under control and all of a sudden a monkey wrench was thrown into the mix? Have you ever thought, “Why can’t I handle this situation, why can’t I cast this “demon” out?” The reason why your usual methods do not work is because SOME things only come by prayer and fasting! Much like the disciples in Mark Chapter 9, we can find ourselves confused by our inability to do what we normally are capable of doing. God reminds us through the scriptures that some things can’t be changed through the normal day-to-day activities. Some things require a level of surrender, humility and sacrifice. When fasting, one is denying the flesh in order to gain a deeper spiritual insight. As you grow deeper in Christ, your spiritual gifts will be enhanced, your spiritual confidence will increase and the spirit of discernment will be heightened. Your prayers will be more powerful when you fast and pray. During your life, stretch yourself to give God a little more. Give God your best sacrifice while you fast and watch Him expand your spiritual knowledge. Give God your best when you pursue your financial goals, weight loss goals, educational goals, entrepreneurial goals and so forth. Stop doing the same things over and over again expecting different results. It’s time to STRETCH! 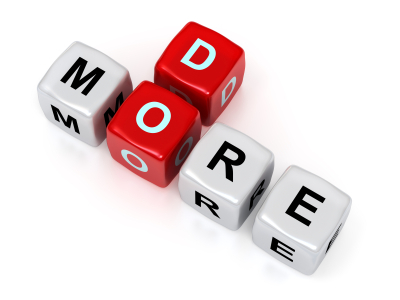 It’s time to give MORE! TFTD: What are you afraid of? Imagine a little boy who dreamed of becoming a doctor. He diligently saved lives at recess with his precious doctor’s kit he received as a birthday gift. He enjoyed putting on Band-Aids for his scraps and bruises. Every night he would visualize himself in scrubs at a top-notch hospital. The possibilities were endless in this child’s mind. His mind allowed him to drift to places beyond his present reality. Then the child begins to grow up and he is faced with the requirement of extensive schooling. It’s a minor obstacle in his mind because he always dreamed of becoming a doctor. He continues to grow and hold onto his dream and then his parents tell him that he will never become a doctor. It cost too much and they can’t afford it. Then his friends at school tell him that it’s a waste of time and he would miss out on all of the fun. He researched some of the top ranking colleges and the SAT requirements intimated him. The cost of tuition scared him. He immediately felt a weight of anxiety hang on his shoulders. He started second guessing his dream because the perception that was now associated with becoming a doctor didn’t look so promising. What happened? Why was this young man afraid? What happened to the confident little boy who dreamt of becoming a doctor? 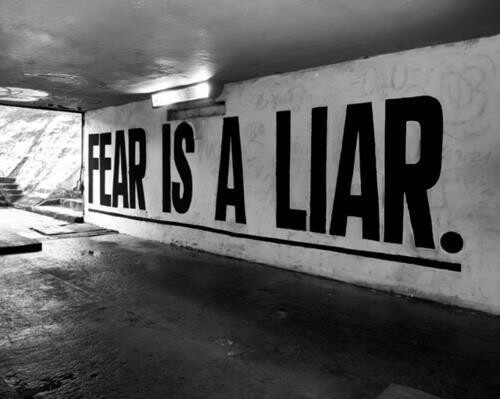 Fear can be defined as False Evidence Appearing Real. It is the anticipation of the possibility of something happening! THE ANTICIPATION of the POSSIBILITY… People forfeit their dreams because they are anticipating the possibility of something bad happening. Why is the focus on something that may not even happen? Why is so much energy directed towards the anticipation of the possibility? The young boy had a dream and then he allowed what people were saying to discourage him. He allowed statistical data and requirements to deter him. How many times have you done this? How many times have you allowed fear to choke the life out of your dream? THE FALSE EVIDENCE consumes you to the point that you believe it’s real. You believe that you don’t have enough money to buy a house. You believe that you aren’t qualified for that job. You believe that you aren’t skilled enough to start your own business. You believe you aren’t good enough to get married. Because someone has presented FALSE EVIDENCE you won’t even take the next step towards your dream. I want to encourage someone today! God hasn’t given you the spirit of fear. God has given you Power, Lower, and a Sound Mind! For the one thing that is false (fear), God has given you THREE things to dominate it. Power- God has given you the authority to walk with purpose and destiny. You can command your day in Jesus name and possess the land. The Word says, ANYTHING we ask, BELIEVING, we shall receive (Read Matthew 21:22). Love- Since God is love, you have ACCESS to HIM. He is always with you. That’s enough right there, but God wanted to ensure that you knew you could conquer fear. I mean, He sent His Only Son to conquer death, hell and the grave, surely you can conquer FEAR with God on your side. Sound Mind– God has given you the ability to exercise self-control and think reasonably. So when false evidence is presented you are able to discern the truth and more importantly control yourself from giving into the fear. God has adequately equipped you to conquer fear. Conquer fear with faith! Faith is believing in things you can’t see. The little boy dreamt about being a doctor. His faith was HUGE when he was younger. It’s to go back and grab that child-like faith. That faith that wasn’t easily influenced by others. All you need is faith the size of a mustard seed. Each day you need to water your faith with power, love and a sound mind. Keep watering your seed until it blossoms into the manifestation of the promise given to you from God. Questions to ponder: How long will you live in something (fear) that didn’t come from God? Do you have more faith in what you fear than in God? Put your faith into action and kick fear to the curb. Your dreams are waiting for you. People are waiting for you to walk in your calling. Start dreaming again and stop having nightmares. If you are in the Hampton Roads area, you don’t want to miss this great event. 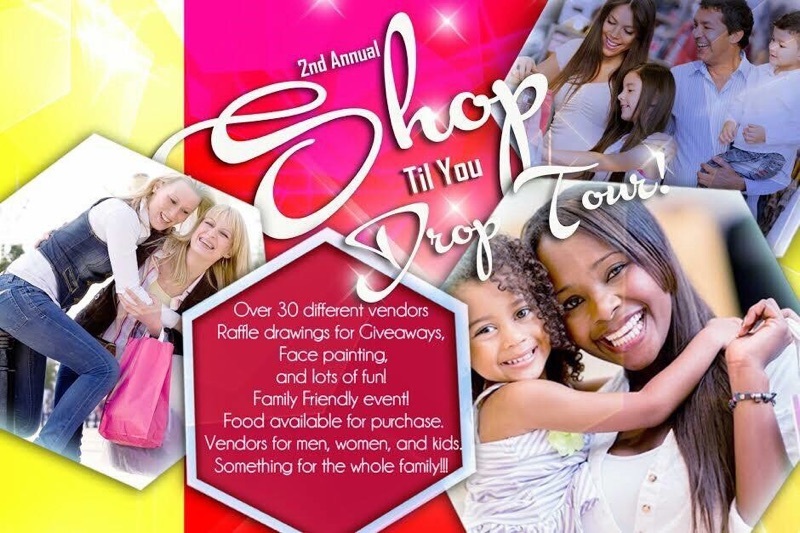 Come enjoy an afternoon of shopping and fellowship. There will be over 30 vendors with some awesome raffle drawings and FREE give-a-ways! I will have a table set-up for FIT FOR A PURPOSE, LLC. http://www.fit4purposellc.com/with my books available for sale! I’ll also be collecting #pridefulproducts, which are sanitary products that are collected for women and girls who are homeless. For every package of sanitary products you donate, you will receive extra entries for a FREE give-a-way. Be a friend and invite a friend and join us for an afternoon of fun! I hope to see you there! God bless! Owner of Fit For A Purpose, LLC.